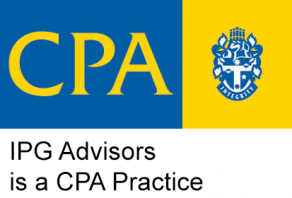 The team at IPG are at the forefront of regulatory changes and can take away the burden of income tax, GST and BAS compliance and help to maximise your tax return. Taxation can be complex. The requirements of compliance get more onerous as you and your business become more successful. We’ll help you navigate the complexities of taxation and minimise your tax bill. We’re always seeking ways to get the best tax results that also make good business sense for you. For many of our clients, we act as their strategic partner, providing resources and peace of mind knowing that their interests are protected. GST considerations are a part of every transaction, and yet it can still be very confusing and complex. At IPG, we keep abreast of the latest changes so we can ensure you’re reporting and paying the correct amounts. Effective tax strategy has the dual goals of minimising what you pay now while building a safe and stable financial future. We leverage decades of collective experience, and will explore all aspects of your life and business to get the best results. Our network provides access to advisors who can offer advisory on the best ways to save on all types of tax; while building a foundation for a healthier and more prosperous future. Trust strategies to protect your assets and minimise taxation. Contact us today to schedule an obligation, cost free meeting so we can explore the best solution for you and your business.